No one likes getting sick and almost anyone would agree digestive issues and stomach bugs are the worst. Gut issues can appear in many ways such as indigestion, nausea, painful gas, bloating, stomach pain, and unfriendly bowel movements. What you might not have known is there are various essential oils that are, let’s say, essential for good gut health and can provide relief from common digestive issues and illnesses. For internal use drink one drop in 8oz of water. For topical use mix a drop into fractionated coconut oil and rub onto abdomen. For internal use drink one drop in 8oz of water. For topical use mix a drop into fractionated coconut oil and rub onto abdomen. For aromatic use 5-8 drops into a diffuser or 1-2 drops into the palms of your hands rub together and inhale. Is anti inflammatory, antibacterial, antifungal, antiparasitic and antiseptic. Peppermint provides gastral, digestive, indigestion, and nausea aid. Ginger oil is antibacterial, anti inflammatory, an antioxidant, stomachic and a stimulant and aid in the relief of cramps, nausea, morning sickness, loss of appetite and promotes healthy inflammation response. Fennel provides aid to nausea, colic, gas, cramps, intestinal parasites, and sluggish bowel support. It is a known anti parasitic, antiseptic, antimicrobial, and is a digestive stimulant. 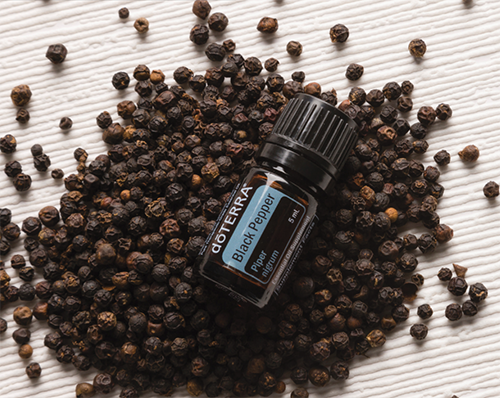 Black pepper is a digestive stimulant, antiseptic, antioxidant, anti parasitic, and can be a laxative to relieve constipation, diarrhea, cramps and gas. Petitgrain is anti infectious, antiemetic, antibacterial, and antiseptic and aids cramps and nausea. Provides Gas, bloating and constipation relief and is a known antibacterial, antifungal, antimicrobial, antioxidant, cleanser and detoxifier. 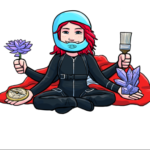 Hailey Spates is a writer, certified yoga instructor, class A skydiver, full-time RVer, nature lover, and vegan.